Pain Management Technologies manufactures advanced pain management devices. 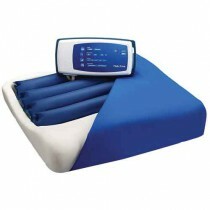 This electrotherapy product manufacturer is a leading national distributor of electro-medical equipment. This company’s pain management devices help people with back pain, knee pain, arthritic pain, muscle spasms, sciatic pain, sports injuries and more. Based in Akron, Ohio, Pain Management Technologies stands behind its electro-medical products with a 5 year warranty.